Already got a favorite NLE or compositor? 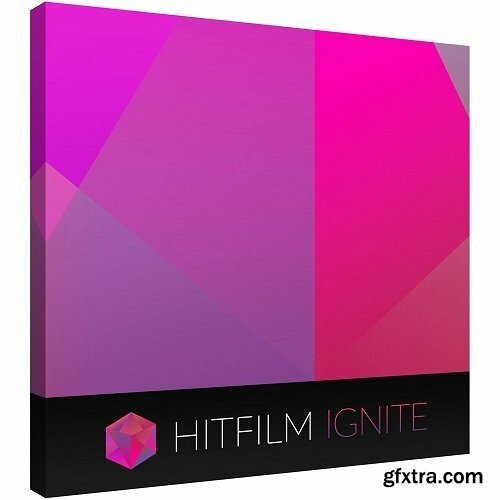 No problem - HitFilm Ignite gives you over 140 new plugins. Clean up your green screen footage with Ignite Pro’s effortless broadcast-quality Chroma Key. Get high-quality removal from blue or green screen, control over edge detail, color correction and advanced spill replacement. Ignite Pro’s unique spill simulation plugin replaces unwanted light reflections from your green screen with simulated light from your new background. You can even add the Light Wrap effect for a more realistic light bloom around your foreground elements. Enter ‘the grid’ with Ignite Pro’s atomic particle systems. Images and 3D model surfaces easily morph into point grids that respond to animation or sound. Use Atomic Particles to create Tron-style holographics, fractal distortions, dramatic dissolves or animations synced to your favorite track. Create earth-shattering scenes with Ignite Pro’s video-shattering plugin. Break up videos and images into bricks, shards or any custom shape. Make your title sequences explode on screen. Perfect for any action scene – Ignite Pro’s dedicated, 3D muzzle flash engine incorporates a huge library of customizable effects. Drag and drop realistic, infinitely variable muzzle flashes onto any weapon in your prop collection from any angle, and at any size. Don’t let rogue pedestrians come between you and your perfect shot. Clean up your footage by easily hiding or duplicating objects with Ignite Pro’s clone stamp and replacement tools. Make your own Towering Inferno with Ignite Pro’s procedural fire effects. Augment your stock footage with everything from small bonfires to large-scale building fires. Perfect for turning up the heat and production value. Ignite Pro’s distortion effects come in four flavors: Heat, Energy, Smoke & Fluid Distortion. Add industrial grit to your props and environments with jet exhausts, burning fires and hot proton beams, or create your own Narcissus reflection scene with fluid caustics— perfect for creating the appearance of looking through a liquid surface within the software. High-quality visual effects are the building blocks of modern sci-fi classics. So we’ve created a showstopping repository of classic sci-fi tropes - from starfields and lasers, to FTL-jumps, text crawls, earthquakes and even Lightswords. Drag, drop and dazzle. Twist and distort your footage for that added cool factor using Ignite Pro’s Vortex Displacement, Bezier, Perspective and Polar Warps. Flatten your action footage to match your traditional lenses or use Action Cam Lens Distort; making it easy to layer your composites directly onto footage filmed with action cameras.